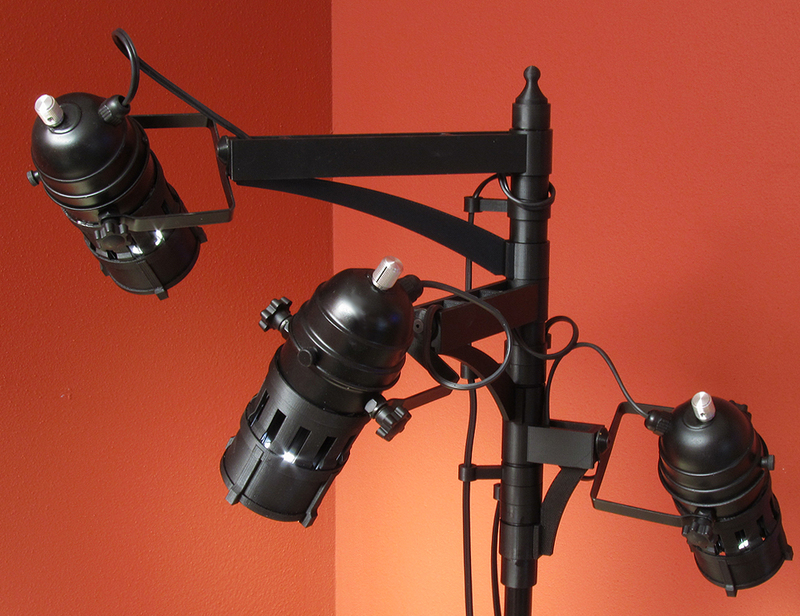 I like the look of theatrical lighting, especially the ellipsoids and zooms. I’ve converted several to SSL, including fresnels, Kliegl and Colortran zoom ellipsoids. 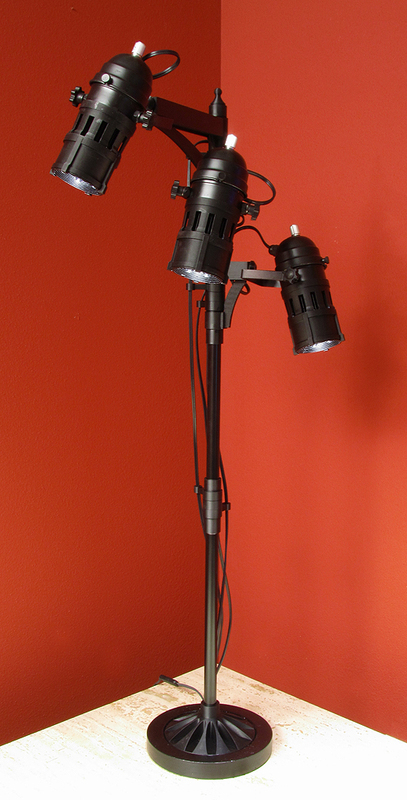 Unfortunately, being designed for 500-1000 watt halogen lamps and use in stage applications, even the small mini-versions of these fixtures are too large for small spaces. This design takes its aesthetic cues from theatrical lighting, along with styling from the days when movies and theater were the center of the entertainment universe. The design provides full rotation of each arm about the vertical standard, rotation of each fixture yoke at the end of the arms, and aiming of the fixture in each yoke. In other words, each head can be aimed pretty much anywhere. 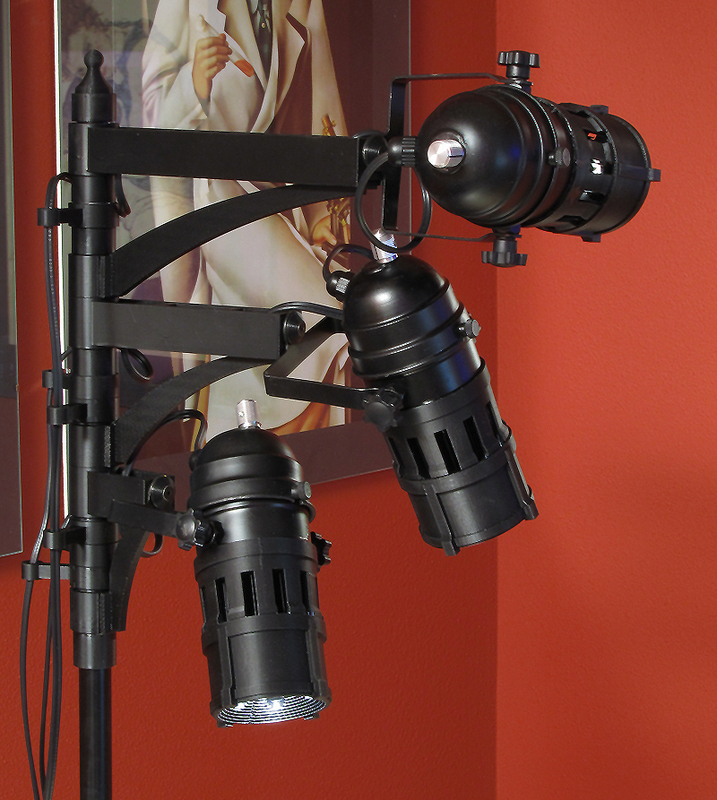 In addition to this, each of the heads has its own driver with dimmer control, so after its been aimed, balancing light levels can be set easily. At the base, a single on-off switch means that the individual dimmer settings can be left alone. 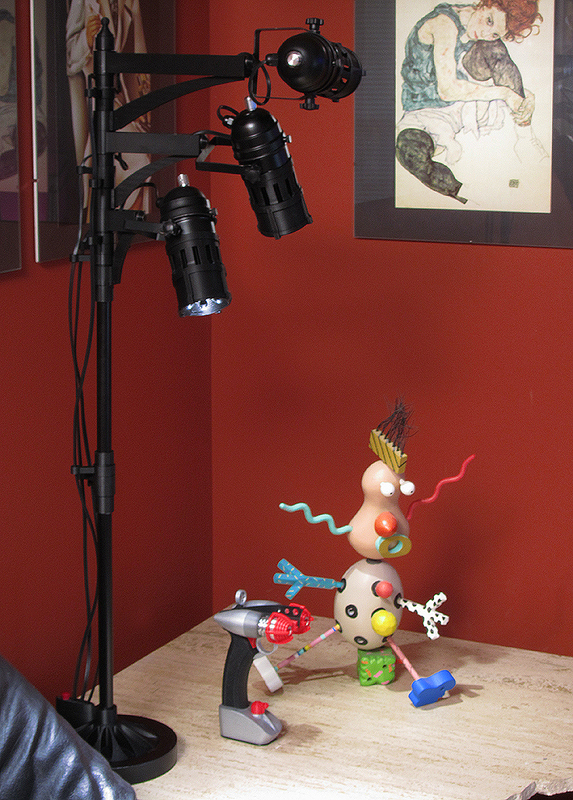 The light source used for each head is a Cree MCE LED with 25 degree TIR optic. The ehat sink is buring inside each of the heads. 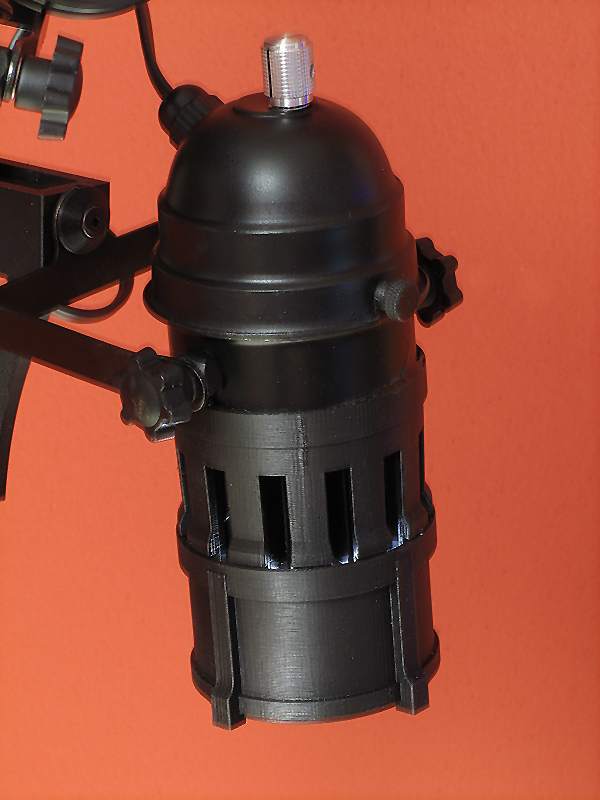 Future iterations of a design like this will likely include an adjustable zoom optic, as well as color adjustment. 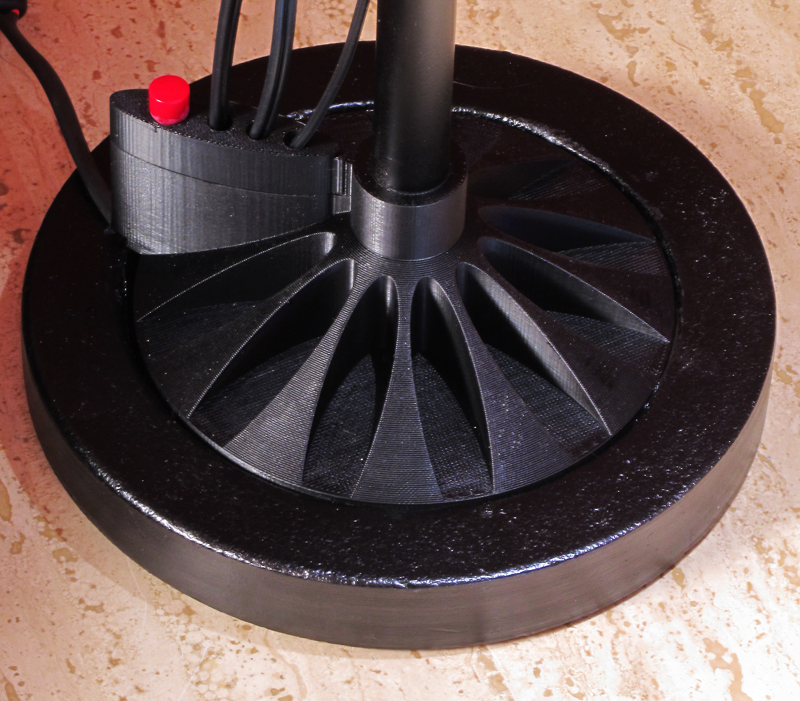 The total height of the stand is 37″, and the base include a 7 1/2 pound iron weight for stability.